Could this Unbearable Back Pain be due to Vitamin D Deficiency? Unbearable back pain from Vitamin D Deficiency? I have severe back pain and full body pain. They found that I have a deficiency of vitamin d3 after blood check up? Can deficiency cause so severe pain? I'm not able to sleep, I'm not able to get up in the morning from bed due to stiffness and pain in back and body. Please, please suggest me a remedy that will get me out of it as soon as possible. I'm experiencing this pain after my first delivery that is from 22 april 2008 till now today. Herniated Discs or Vitamin D Deficiency? I began with left hip pain about 10 yrs ago, mainly when I was sitting. With in the last 3-5 years I started having problems with falling, twisting ankles, headaches, achiness and extremeties tingling, etc. I have psoriasis and had some joint pain since I was a teenager. The neurologist helped me with the headaches/miagraines and sent me to the balance center, which worked with me on balancing and streghthening ankles, etc. MRI cleared me of MS. At the same time I was sent to rhematologist. The neuro tried Cymbalta for the pain (no help) and the rheumo tried Lyrica (no help). In the last year the pain got even worse. Sitting for legnths of time was painful and continued to the unbearable stage. X-rays showed degenerative disc disease/arthritis. Started PT and was told should see improvement in 2-6 weeks.(didn't). Had an MRI of back and found 3 herniated disc with other degenerative disc issues. Surgeon gave me opportunity for non-surgical options. I have had 3 nerve blocks which help at time but don't last. DO for back pain put me on pain pills and Neuroton. I've read where this type of pain shouldn't last more than 6 weeks. Went to my GP and saw my nurse practitioner this week and without saying much ran a Vitamin D test with my normal labs. Normal range should be 32-100, mine was 10.2. She prescribed Vit D 50000IU 1/week for 12 weeks than 2.000 IU's daily OTC. If this is what is causing my back/buttock leg pain, how long before I get relief and why do you recommend D3 as opposed to just Vit D like was prescribed to me? Or rather what's the difference? I am 36 years, I got erytrema nodusom in August 09 and I took one steroid injection. It was completely gone and after a week my leg started pain again and I did my Vitamin D3 test and it was only 10, my doctor adviced me to take the vitamin D3 injections (half dose of 300,000 IU twice a week). Now I took half dose once, what I want to know is - my lower back, thigh and my leg bones pains severely. How much time will take to get rid of this pain. Doctor suggested me to take 6 injections. Could low vitamin D cause chronic back pain? I had a gastric bypass in march of 2007. Before surgery I weighed 350 and suffered from little to no back pain. 2 months after my surgery I noticed this dull pain in my lower back that wouldn't go away. the doctors thought it was my gallbladder so it was removed but the pain never went away. It has been over 2 yrs now since the pain started and not a minute goes by that I'm not in pain. and that is no exaggeration. I have seen chiropractors, physical therapy, I've had CAT scans, MRIs done of my back and nothing can be physically seen as a cause of my pain. My pain is now worsening by extreme leg pain at least twice a week that lasts all day long. I can't walk and lose balance. I am starting to think maybe a deficiency of some kind is causing this. Maybe my gastric bypass started this all. I am now down to 180 pounds. Could it be a Vitamin D deficiency? Maybe a Vitamin B12 Deficiency? I am 29 years old and I am going through spinal rehab (chiropractor and physical therapy). I had punished my spine for over 8 years (being miss aligned from a sport injury at the age of 21 and did nothing about it). It caused my L5 to herniate in the process. I am building new joint,muscle, skeletal, and cartilage fibers every day (God is amazing). I am on a healthy diet, but do not get 5000 iu of d3 daily. I was wondering if it is a good thing for me to up my intake considering all the overtime my body is working on new "spine" fibers. What would you recommend my daily d3 intake be? Would liquid d3 be the best way to achieve and absorb? I want to stay away from any unnecessary ingredients in a vitamin d3 supplement. What would be the best food/drink to take d3 to maximize intake. Thank you so much for this site. it is packed with PRICLESS INFO!!!!!!!!!! First let me thank you for giving an opportunity for asking my question. I am 35 years old female, married and have a daughter aged 6 years and had a normal delivery. I generally am fit, regularly exercise and eat nutritional food with plenty of fruits and vegetables daily (I am a vegetarian, but take egg). I am very much exposed to sun frequently. I somehow had been rejecting curd right from my birth as the very smell of it makes me vomit. So curd in any form has not be consumed by me at all. I take milk regularly, around 400ml/day. For the past 6 months I am suffering from pain in my lower back, which now has started propagating to the other parts of the body. The Doctor tested me and told that my vitamin D(D2&D3) level is only 12 ng/ml. X-ray & MRI of the spine showed no problem. He prescribed some calcium for 6 months and vitamin tablet once a week for 6 months. I strictly take medicines & go for a brisk walk and take good diet. I consciously get exposed to sun for around 45 mins daily after my walk as per my Dr's advice. Still I don't see any improvement in my pain. For the past few days I hear a mild cracking sound from my body when I try to sit down or get up. I have a long way to go in my life. All these are worrying me a lot. Can you please advise. Sorry I had been too long. I have experienced back pain for 4 years now. I can feel knots all over my back and neck area. Could this be due to a vitamin D deficiency or would it most likely be from a strain? I did use to lift weights but the pain was never instant it was a gradual progression. 3 months ago I came down with this lower back pain which I thought was sciatica. But now I don't think it is. Making a long story short, I have seen a urologist, an internist, orthopedic surgeon, neurologist, done numerous blood tests, and a CT scan. All results are perfect. And they all tell me that my pain and anxiety and hyperventilation are in my head. I went to someone who said that my back muscles were so tight and knotted, muscles were inflamed. he began the process of releasing the knots which was working fine, until I started having shortness of breath and heart racing a few hours after going to him. he said due to this he could not work with me anymore. I then went to a holistic doctor, who after doing over the blood tests again, said they my blood work shows a perfectly healthy body. but why the pain and muscle spasms? My stomach became permanently cramped to the point I could not eat. 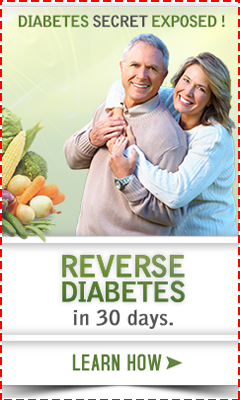 He put me on vit d 4000 iu per day, vit b sublingual 1000, and 5HTP tr. since starting taking these, I now get intense pain in my upper back, and chest, continued heart racing and weakness in my arms. Sometimes I can't even breathe properly. Stomach gets so knotted cannot take a deep breath in. I was thinking this could be acid reflux, but since reading here, i wonder if I just need to take magnesium. I have also been taking a supplement with calcium and magnesium but the value of magnesium is only 30mg. 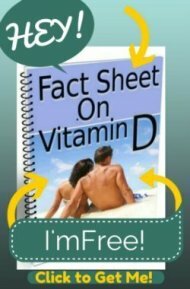 I have not been taking the 4000iu of vit d because on the first day I took 1000 iu I got a really bad pain in the chest. I thought I was going to pass out. I have not felt brave to increase the dose. so been only taking 1000 per day. today I took no vit d, and have had no chest pain. I am to go for an mri of my spine as he wants to make sure things are ok in there. Any advice? I just need to get my life back.